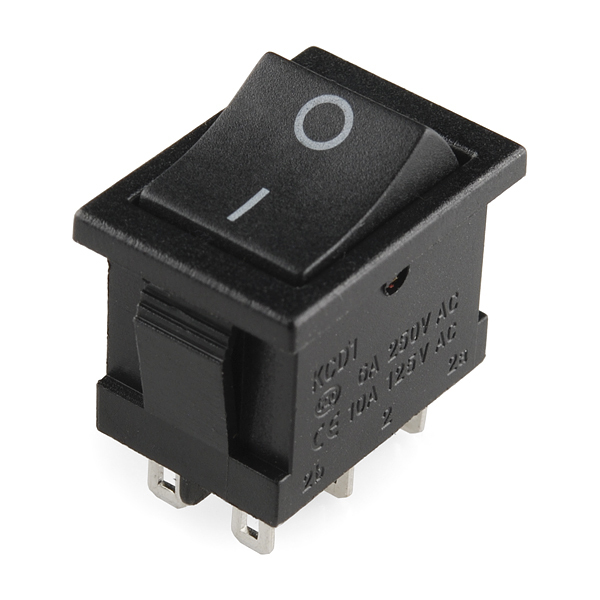 This switch is about the same size as our right angle rocker switch except that it's double-pole double-throw. 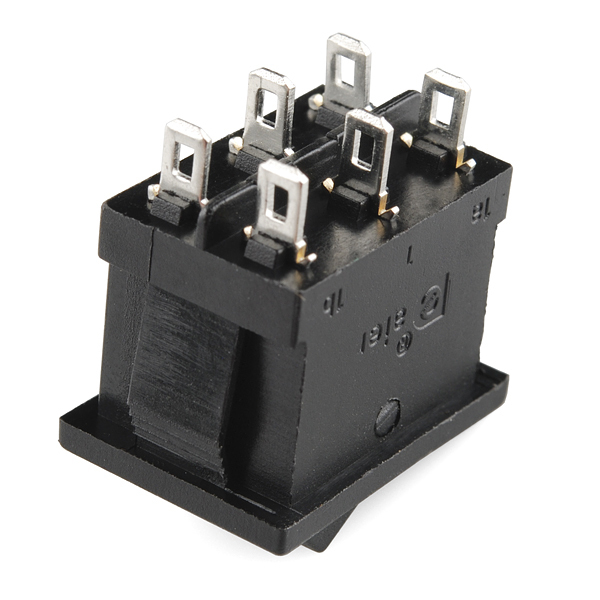 It's rated for 10 Amps at 125VAC and can be snap-in panel mounted. This is a pretty solid switch all around. It stays in place really well, and the bevel around the front hides a bit of error on the filing I did to make a rectangular hole. The only problem is that it has to be wired backwards from what you'd assume. 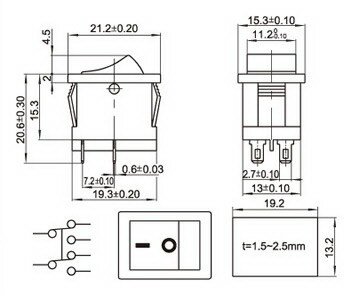 The center post is tied to one side or the other depending on the position of the switch, yes, but the post beneath the on symbol is actually open when the switch is "On". So to make a complete circuit when the switch is on, you have to solder to the center post, and the one beneath the off side. 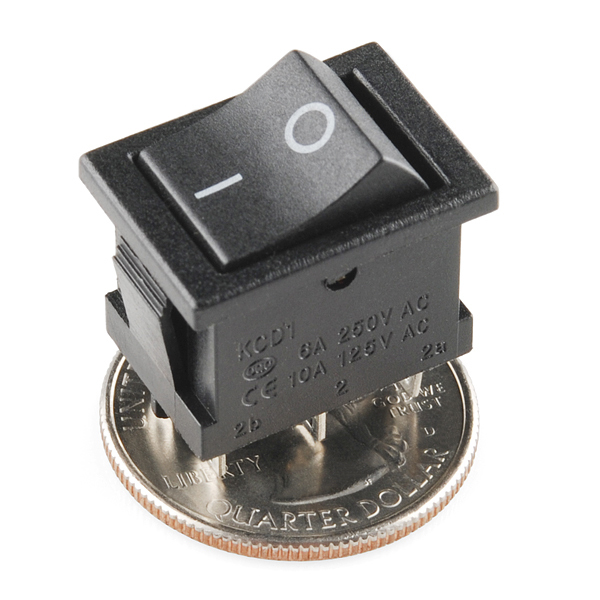 To put it simply, check it with an ohm meter before you solder!